Tottenham Hotspur and England striker, Harry Kane has proposed to his childhood girlfriend, Katie Goodland. 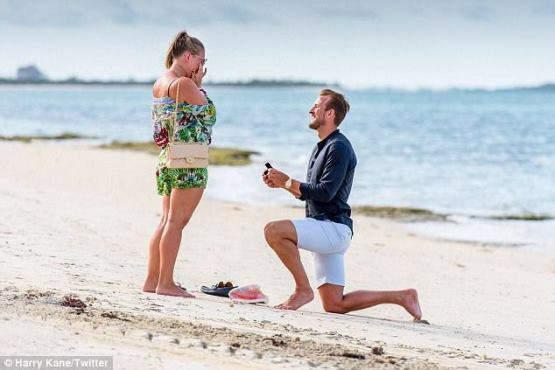 The striker who finished as Premier League top scorer last season scoring 29 goals, posted the photo of himself proposing to his girlfriend Kate Goodland on Saturday in Bahamas, where they are currently holidaying. He captioned the photo: ‘She said YES! The pair welcomed their first child, Ivy Jane, back in January.